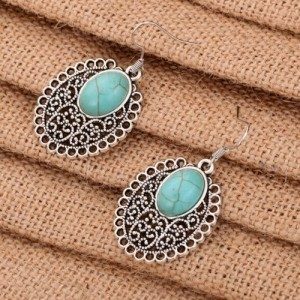 Tibetan Turquoise and Silver Oval Earrings Only $3.99 SHIPPED! You are here: Home / Great Deals / Amazon Deals / Tibetan Turquoise and Silver Oval Earrings Only $3.99 SHIPPED! These earrings are so pretty! Head over to Amazon and get the Tibetan Turquoise and Silver Oval Earrings for only $1.99. Shipping is $2.